Runners interested in participating in the 37th Marine Corps Marathon can register for the race beginning at 3 p.m. on Wednesday. The race, which takes place on Oct. 28, 2012, has a race course that winds through Virginia and the nation’s capital. Since the race is limited to 30,000 participants, the registration window isn’t supposed to last long. Last year, registration officially closed just 28 hours after it opened. All runners must be 14 years old by the race date, and this year’s registration fee is $92. All runners must reach the finish line within 7 hours. 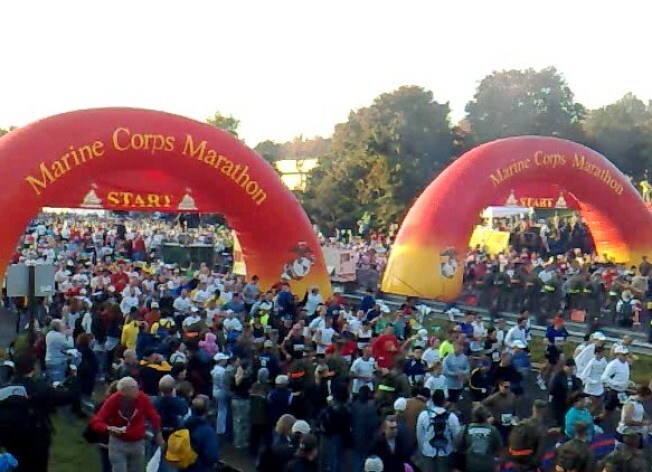 For more information and to sign up, visit the Marine Corps Marathon website.